Two of the biggest barriers to having a personal weather station in your backyard have just disappeared. BloomSky's SKY1 ($249.00 for the solar powered kit, soon to be supplanted by the SKY2 being funded by a Kickstarter campaign) is a remarkably fun and useful app-attached weather station that's not only inexpensive, but easy to set up as well. In this review, I'll take a look at this spherical weather station/webcam and its capabilities, and where its successor (SKY2 with STORM) may make up for a few inadequacies. When it comes to personal weather stations, you can't beat the design of the SKY1 and SKY2 -- they're relatively small, designed like little 'bots that keep an eye on the sky and the current weather conditions. The spherical body of the SKY1 sits atop a spike that can be simply inserted into the ground, or placed into an optional mount that can be screwed to a wall or other vertical surface. Power is provided by either plugging the SKY1 in every once in a while (it will tell you when it needs a charge), or by a set of solar panels that just need to be aimed in the general direction of south. The device connects to the world on 2.4Ghz Wi-Fi (no 5GHz) and range appears to be quite good. Mine is about as far away from the Wi-Fi router as it can be and still be on my residential lot, yet it sends readings and images steadily with no hesitation. Key to the design of the overall BloomSky package is the iPhone app, which was updated in the process of writing this review. 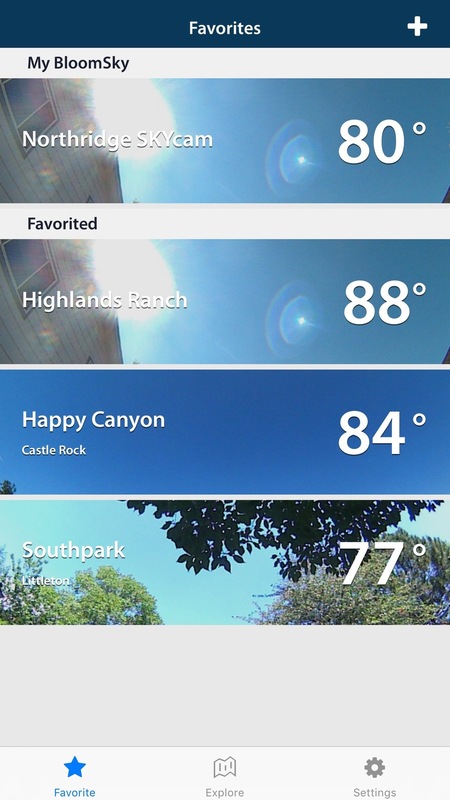 It's quite simple to use the app to set up a new SKY1 or SKY2, provides both data from your personal weather station and others in the area, and will also display a list of favorite weather stations around the world. One thing that would be nice in the app is a way to look at past data in graphical form -- just about every other weather app I can think of has that capability. I'd also like to see the app expanded to both iPad and Apple Watch. It would be so cool to pull up the current weather and sky image on my wrist! If there's any complaint I have about the SKY1, it's the lack of instructions. Perhaps the folks at BloomSky believe that anyone can just open a box and understand immediately how to set this up, but that's sadly not true. The company's website is also lacking in instructions, and the company's support team appears to be either nonexistent or uncaring. A question I had regarding placement of the station went unanswered; fortunately I was able to use the app instructions and experience gained from installation of another personal weather station to figure out a good place to set up the SKY1. For example, there's nothing that tells you that you should plug in the SKY1 for awhile to give it a full charge prior to setup. I have set up enough Internet of Things devices to know that this is a given, so I did it right out of the box. Once charged, you can begin setup. You'll need to download the free BloomSky app and set up a free account, then press the power button until it begins flashing. Adding a device in the app requires you to select a 2.4GHz Wi-Fi network to connect to, and then enter the password for the network. One thing I was able to find out ahead of time from the BloomSky website was that the device apparently has trouble determining the difference between 2.4GHz and 5GHz channels from an Apple AirPort base station, so the company recommends giving the two channels different names. Once you've identified the 2.4GHz channel, that's the one you want to connect to. As soon as the device is network-connected, you can go ahead and install it outside. The bracket for installation and the solar panels came in separate boxes, with minimal instructions on how to put 'em together. It was pretty simple to figure out, and within about 10 minutes of connecting the SKY1 to the Wi-Fi network, it was up and running outside. The dearth of decent instructions also extended to a lack of knowledge about the mechanism to tilt the camera. It turns out that it can be tilted a certain amount if you wish to get a photo of the horizon, but there's NOTHING on the website or in the packaged instructions to let you know that. In my case, it was just a lucky mistake that showed me that I could tilt the camera. Seriously, BloomSky -- pay for the cost of printing up a few simple pages of a "QuickStart" manual. Enough complaints, though. The design of the device is quite attractive, and in combination with the app it does a great job of capturing weather data and ultra-wide-angle images of the sky. Those images are taken every 5 minutes, then compiled into a time-lapse video every evening. The SKY1 turns the camera off at night to save batteries. As I currently have another personal weather station installed and connected to Weather Underground's Personal Weather Station Network, I was interested to see how similar the readings were for the two stations. The SKY1 measures temperature, humidity, dew point, UV strength and air pressure, and with the STORM add-on that will come out this fall, it will also be able to measure precipitation, wind direction, and wind speed. If BloomSky manages to exceed $300,000 in funding in its current Kickstarter campaign -- which seems entirely likely -- they'll add an air quality sensor to the new devices. Most of the time the measurements from the SKY1 were right in sync with my RainWise Mark III-LR, which is a much more expensive professional weather station. 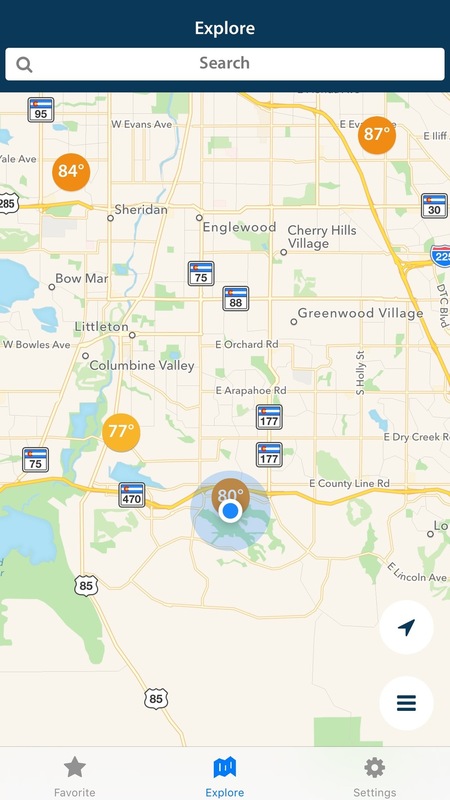 The BloomSky team has also done a bang-up job with IFTTT integration. 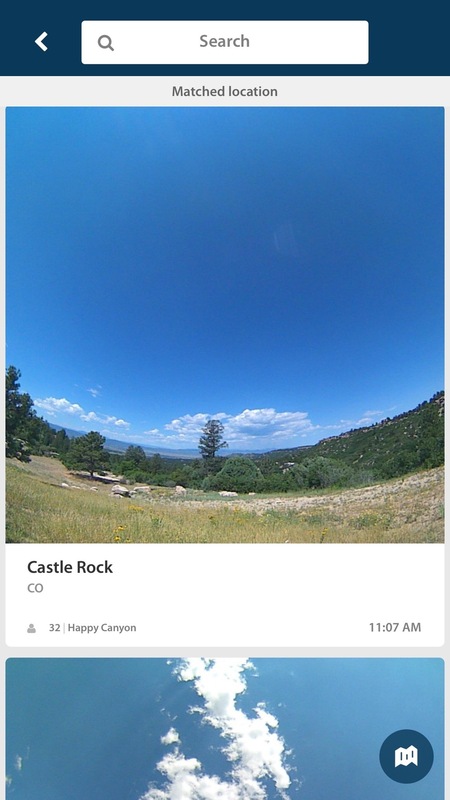 I decided immediately that I wanted to keep each day's time-lapse video, and within a few minutes I had an IFTTT recipe set up to take the daily video and move it to Dropbox for archival purposes. Perhaps at the end of the year I'll merge those all into one master 2016 weather video! 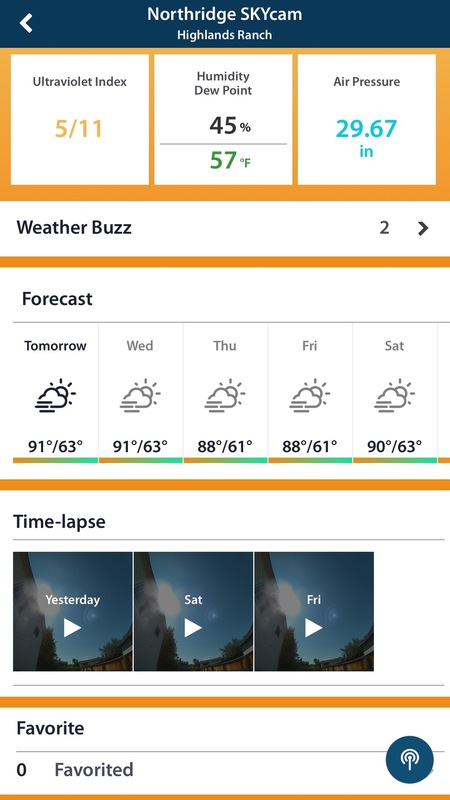 BloomSky also made it quite easy to connect your station to the Weather Underground Personal Weather Station (PWS) network. That's great for keeping long-term records of how your microclimate changes over the seasons. With the exception of concerns I have about the lack of instructions and BloomSky's support processes, I found the SKY1 to be a surprisingly powerful and well-designed weather station. The iPhone app is easy to use and graphically quite pleasing to look at.